35yo F presented via EMS s/p MCC vs. auto. The patient was found to be hypotensive in the field that was fluid responsive per EMS. On arrival to trauma center, the patient was noted to have a gross deformity of her left leg with an active hemorrhage. She was also noted to have an unstable pelvis. Vital signs were remarkable for tachycardia to 110s. The patient was awake, alert with a GCS of 14. Bedside FAST was negative. The bleeding from the LLE was quickly controlled and a pelvic binder quickly applied for stabilization. Just prior to applying the pelvic binder, a pelvic XR revealed an open book pelvic fracture. The patient was intubated for anticipated course and was taken urgently to the OR. Suzuki T, Smith WR, Moore EE. Pelvic packing or angiography: competitive or complementary? Injury. 2009 Apr;40(4):343-53. Marx JA, Hockberger R, Walls RM. Rosen’s Emergency Medicine: Concepts and Clinical Practice (7th edition), Mosby 2009. Cullinane DC, Schiller HJ, Zielinski MD, Bilaniuk JW, Collier BR, Como J, Holevar M, Sabater EA, Sems SA, Vassy WM, Wynne JL. 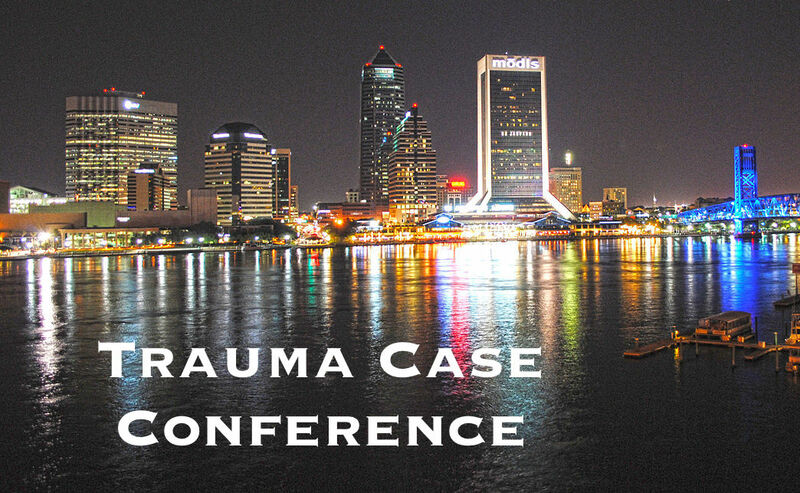 Eastern Association for the Surgery of Trauma practice management guidelines for hemorrhage in pelvic fracture–update and systematic review. J Trauma. 2011 Dec;71(6):1850-68.